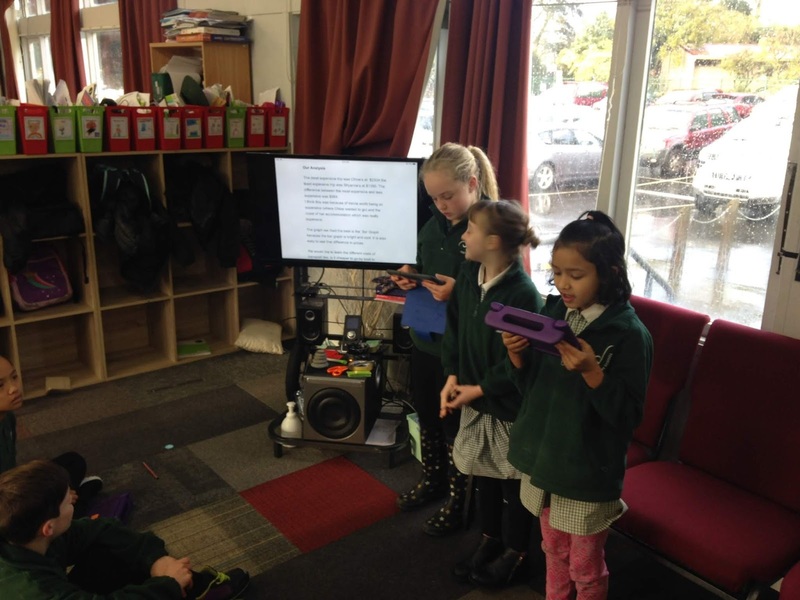 Provocation- Played digital clip of a NZ school that visited Australia. What sort of things would they need to know to plan a trip? Class brainstorm. Create- We created a plan and researched the cost. This involved researching costs in New Zealand dollars. We had to find the cost of air fares and decide what we wanted to travel e.g. business class, economy. We had to find accomodation for 4 nights and estimate travel costs e.g. concession card for tram, train or bus. Then we had to find events or venues we wanted to visit and get the cost for these. Finally we had to calculate the whole cost. Then we got into groups or 4-5 and compared costs. We had to transfer these findings on to a bar graph and analyse the information presented writing a couple of sentences about the information. Who planned the cheapest trip? Who planned the most expensive and how? Share/ Evaluate- Next we used practiced making bar graphs with our information. Then using Google sheets tried presnting this data in different ways. We experimented with the different graph options and decided on the best option to use and present to parents on our open evening. We also shared our results to our math group. Candice had the most expensive trip because she picked a more expensive motel and her flights were more expensive. Holden’s was the cheapest cost because his hotel was cheap, his flights were cheaper and he had cheap food. There is a $600 difference between Candice and Holden’s price. Zion’s was around $200 dollars less than Candice’s and Seith’s was over two hundred dollars cheaper than Candice. Holden’s was $500 cheaper than Seith’s total cost. The graph we like best is the bar graph because things are a lot clearer. You can also see the difference clearer than with the pie graph and the size difference is not as noticeable. The most expensive trip was Sharn’s at $9559. The less expensive was Holly’s at $1456. The difference is $8103. This is because Sharn went in business class and his accomodation was more expensive. We liked the pie graph because you notice a big difference in the size difference between the the least and the most. From here I wonder what it would cost to go to America for a holiday. The most expensive trip was Chloe’s at $2334 the least expensive trip was Shyanne’s at $1350. The difference between the most expensive and less expensive was $984. I think this was because of movie world being so expensive (where Chloe wanted to go) and the coast of her accommodation which was really expensive. The graph we liked the best is the Bar Graph because the bar graph is bright and cool. It is also easy to see that difference in prices. We would like to learn the different costs of transport like, is it cheaper to go by boat to Australia? What did you like best about our math inquiry? It was really interesting and it is not cheap for a holiday. The most expensive trip was lukhan’s $3058. The least expensive trip was Jealen $2000. The difference between the most expensive and less expensive was $1058. We think this was because the cost of flights and accommodation was the big difference. The graph we like the best is the Bar Graph because it is easier to read than the pie graph. 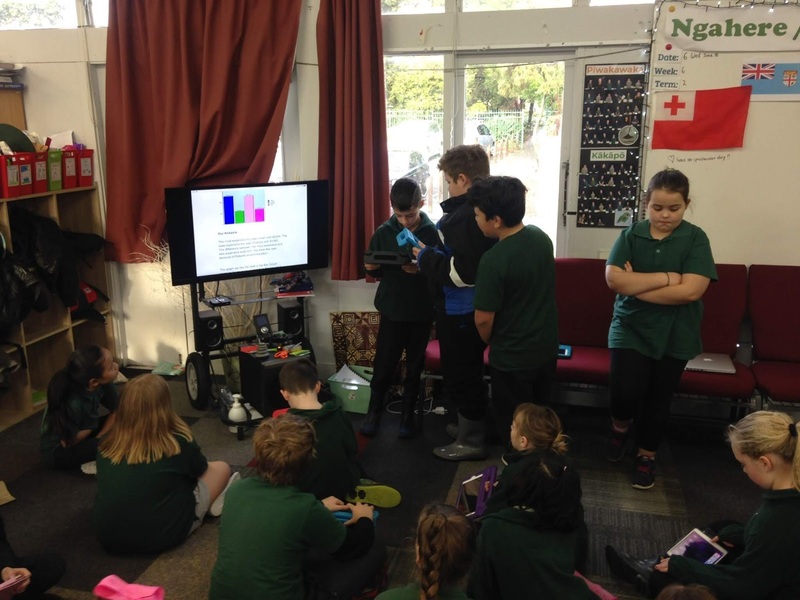 We would like to learn about the cost of travelling in NZ because there are many places to visit. The most expensive trip was Robert at $2504. The least expensive trip was Chahaia at $1093.The difference between the most expensive and less expensive was $1411. We think this was because Roberts accommodation. It was expensive. The graph we liked the best is the Pie Graph because we understood it better. We would like to learn about travelling to America. The graph we like the best is the Bar Graph because i liked the bar graph i can see it better. It is sort of 3D. What did you like best about our math inquiry? Making the graphs was really fun and easy. 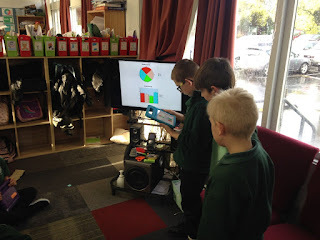 We wonder if we collected all the data together from each group what would it look like. The graph we liked the best is the Pie Graph because we understood it better and it looked like a pizza. How could you make things better next time? Explaining my work better during the presentation. What did you enjoy about this mathematical inquiry? I enjoyed making the graph. That Aussie is expensive and learning to collect data. Using the iPad because I was not in school when Mr Cron showed us what to do. To get better at explaining my work in class. I loved all of it because it was pure fun. How to put graphs together. 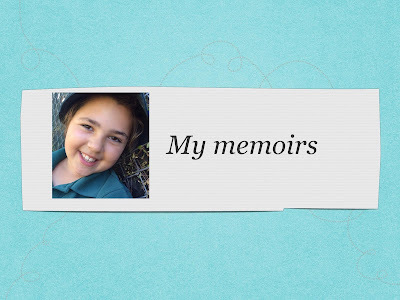 Working with other children because if I was’t sure someone would know. Working out which one was more expensive and which one was least expensive. Share more information and read it clearly to others. It being different than what we have done in the past. Doing pie graphs and having fun. Making the bar and pie graphs. I liked doing this maths it was fun. The rest of my team didn’t do that much. Doing the pie graph and sometimes researching information. How to make graphs and all the things you need to plan for when going to oz. The pie graph and bar graph because they are easy to read because of the size. We could have read more of the work we did but we felt nervous. Work better with others and discuss things better. It was fun because we got to work out all the different costs. It was distracting at first. The different maths things that I had not done before. Doing the different graphs and having lots and lots of fun. Working out the difference between all the costs. Showing more information like all the different costs of accomodation. All the different math things that were involved. Doing pie graphs and having lots of fun. Picking different kinds of activities to do. How much it costs to go to Australia and come back. Anna got the numbers right. I couldn’t finish all the sentences. Talk up and share my ideas. It was fun and I loved seeing the graphs with all the information. I learnt that a pie graph is cool and learnt about some higher numbers. I got distracted at first. By not being distracted and to work well with everyone. Working with other people I have never worked with. To read a pie graph and learn how to use one. It took us a while to understand and solve it. Think faster to get more ideas. Comparing the bar graph and pie graph. Doing an analyse of the graphs and results. Be more focused and try a few more things and speak up when I presented. I learnt about collecting data and to talk about this. Learning to read the pie and bar graph. Searching on the computer for food prices. Listening to Mr Cron and Lynley. 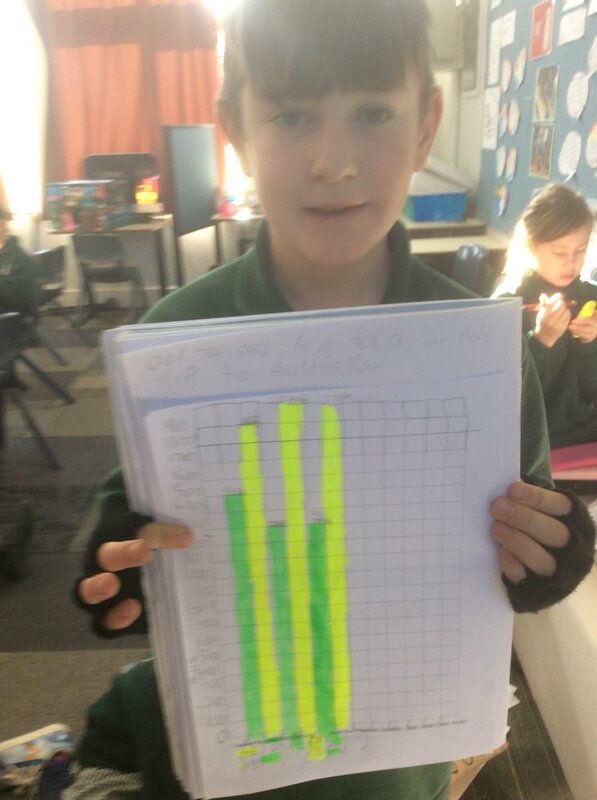 Seeing the graphs and learning who had the least and most cost. The price of the cost to Australia. My group worked as a team in the end. The noise was pretty loud. Taking turns during the presentation. Not all of us had a go. Learning about graphs and experimenting with the iPad. That pie graphs and bar graph look different but show the same information. Adding it up and entering the data. Work faster and be more focused on what we are trying to do. Seeing the graphs after entering the data. How expensive it is to travel and stay in Australia. Getting annoyed at other people. Learning to read and use a pie graph. I needed to help present the data as well. Playing with the data and seeing it turn into a graph. The difference between a number of graphs. Getting the job done with Destiny. We were off task at times. I didn’t present our data which I should have.